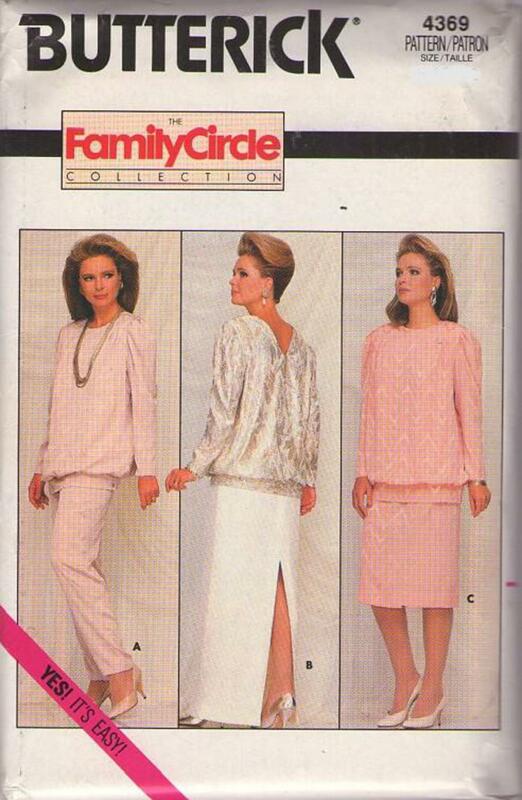 1986, 80s Career, Retro Evening Clothing Patterns - MISSES' TOP, SKIRT & PANTS Very loose-fitting, pullover, blouson top has shoulder pads, front tucks, stay, button band, side opening and long sleeves. Straight skirt, below mid-knee or evening length or tapered pants have elastic waist. Skirt: back hemline slit. Perfect for holiday parties!